Another remix for New Kids On The Block as they stylize themselves. 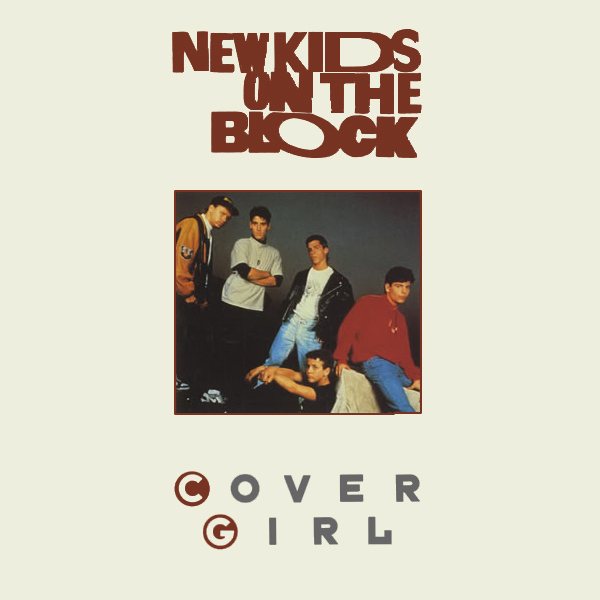 On the original cover artwork for Cover Girl, we find the band members looking royally bored in a small square. On the remix we find a cover girl who is covering herself (but not making that good of a job of it). But the boys are still looking as bored as ever. Maybe they are stuck inside the box and can't get out to help the cover girl cover herself. All very mysterious. Cubic! What is In Your Car? More importantly what is in Kenickie's car? 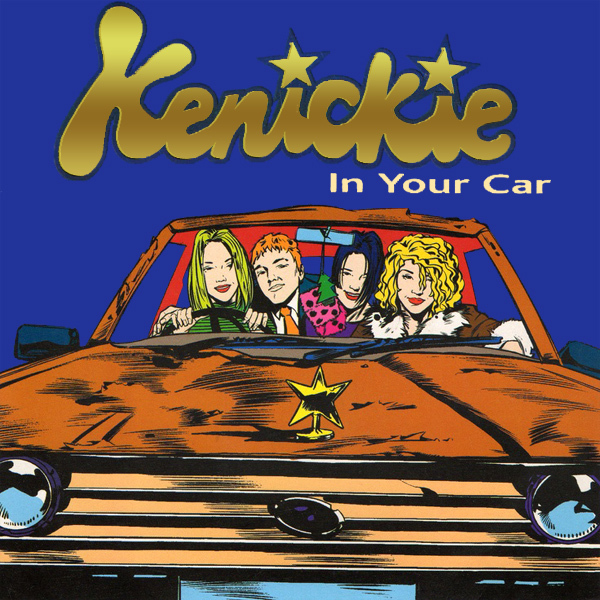 Quite obviously, from the original single cover artwork, what is in Kenickie's car is the band members themselves, though in cartoon format. And the car is toony too. On the remix we find what we would like to find in our car (and maybe you would like to find in your car too), that is a babe wearing nothing other than a smile and her stiletto heels. Drive! 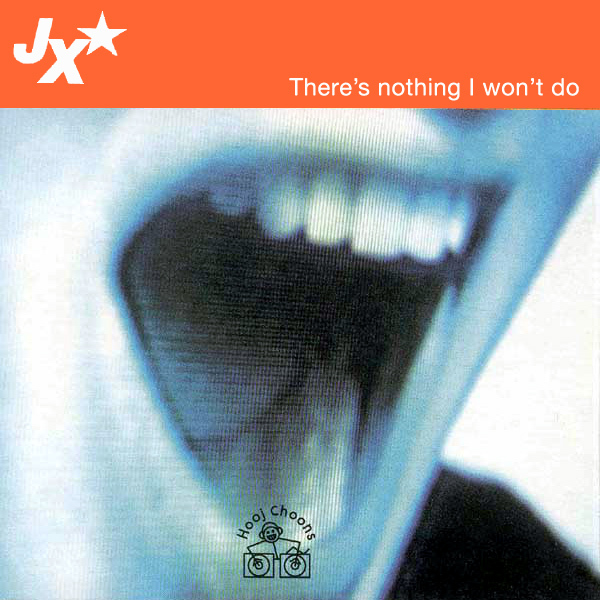 When JX sing that There's Nothing I Won't Do, you would be right to expect more from the original single cover artwork than a fuzzy picture of someone with their mouth wide open. You would expect to see a babe who would do just about anything, in fact a babe who would do absolutely anything. Such as lying down naked on a street as cars drive past her, smiling nonchalantly at the camera. Did we say naked? We meant wearing heels. Obviously! So Pure. Like snow? Like fragrance-free soap? Like distilled water? No. According to the original single cover artwork, Baby D tells us that what is pure, is a lightning storm. Maybe it is pure, but it is also messy and dangerous. On the remix we find a babe who is, in some ways very pure and in others very impure. Just focus on the pure elements, and this remix makes sense. Focus on the impure and it is about as logical as Doctor McCoy. Trek! 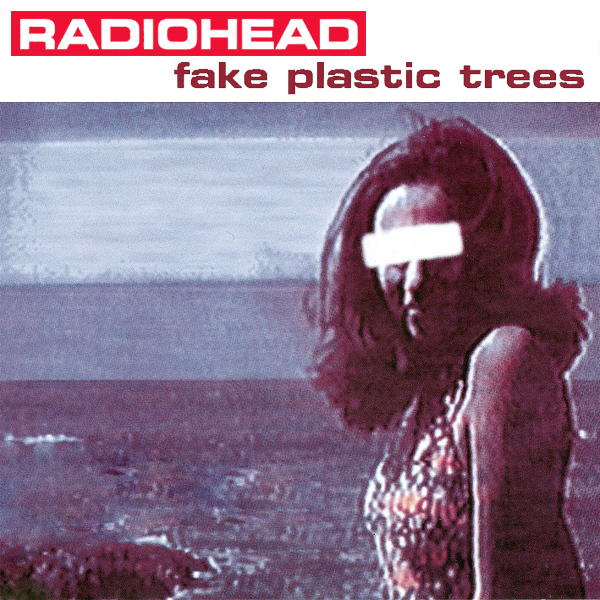 The original cover artwork for Radiohead's single Fake Plastic Trees is awful. It has no trees of any kind on it, whether real or fake. 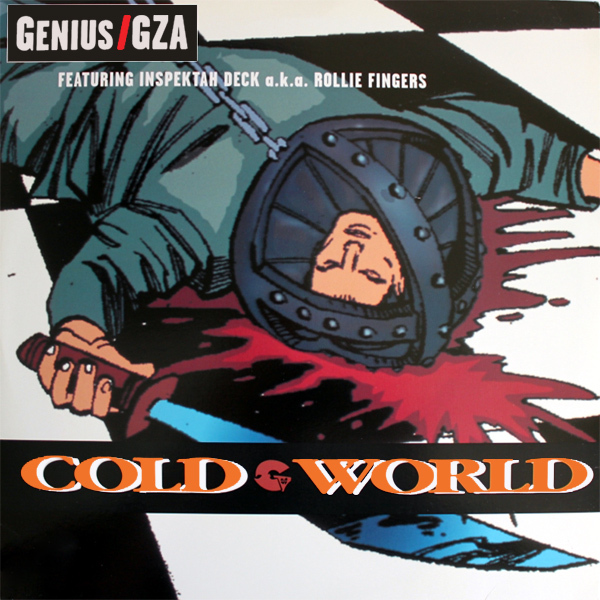 The remix on the other hand has got some trees on it, but, I hear you say, those are not fake trees. No, they are not. The fake plastic is in the hands of the babe resting among the trees. So maybe the title should take on a comma, e.g. Fake Plastic, Trees. Unreal! 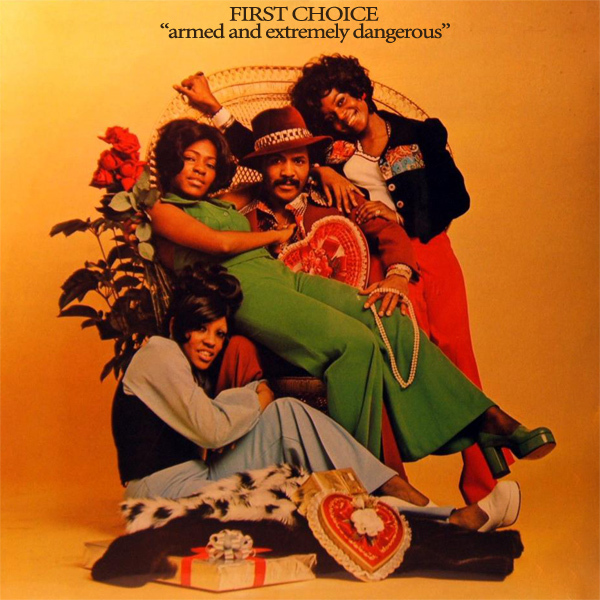 First Choice claim to be Armed And Extremely Dangerous, but on the cover artwork of their single, they don't appear to be armed, and certainly don't look very dangerous, unless platform shoes have hidden weapons in them. On the remix we find four babes who are clearly armed, and they look quite dangerous too. Maybe not extremely dangerous, but that's just a matter of personal opinion. Bang! Will this year be a Pretty Good Year? 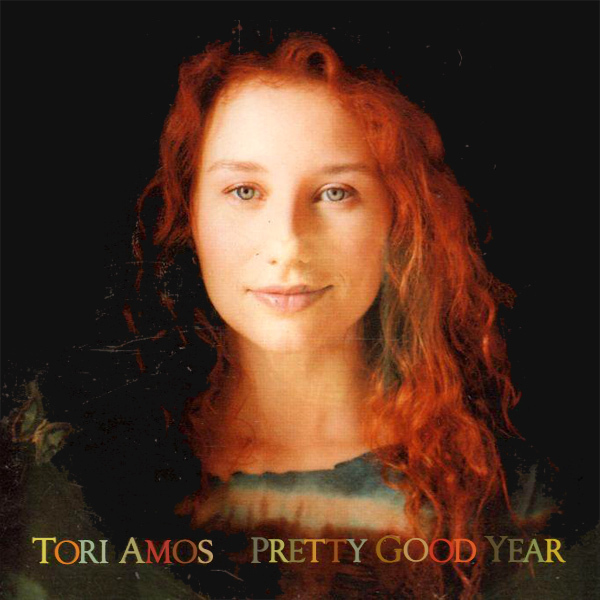 According to Tori Amos, it could be. How has this been illustrated on the front cover of her single, well with nothing greater than a picture of Ms Amos looking pretty. On the remix we find a New Year's party in full swing with a lot more pretty to choose from, as long as babes who appear to be inhabiting an English country pub are your kind of thing. Happy New Year! Twiddly diddly dee, it's Lolly and her friend the Rockin' Robin. Twiddly diddly dee, it seems that to represent this seasonal classic, Lolly has decorated her forehead with snowflakes. Twiddly diddly dee, on the remix we find a babe with a red breast, which must mean she is a robin, though it is more usual to spell it robyn if it's a girl. Twiddly diddly dee, that's an improvement and all that remains is to check if she is rockin'. As far as we can tell, she rocks! Twiddly diddly dee! 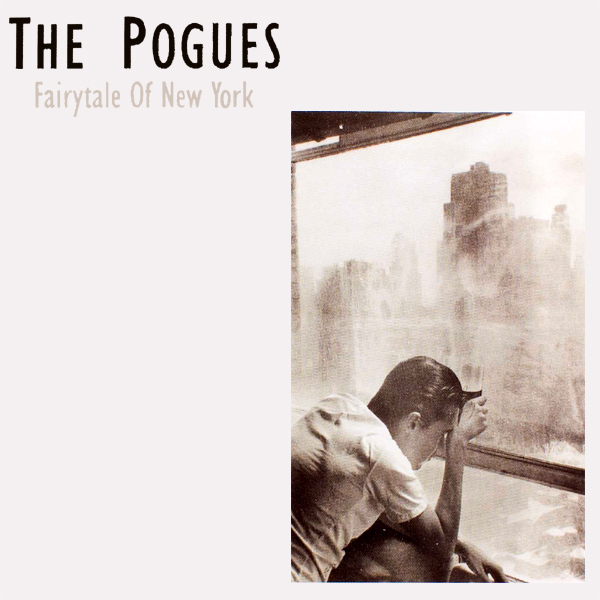 Some rankings have Fairytale Of New York by The Pogues Featuring Kirsty MacColl as the number one Christmas song of all time. The original cover, however, is not seasonal in the least and whilst it does at least let us gaze upon the lead singer of the band, where is Ms MacColl when you need her to brighten the place up a bit? On the remix we have found a Christmas fairy who is happy to show us her tail. A Christmas fairy-tail if you will. Or even if you won't. Avert!